30+ (and growing) places for artists to make passive income online - CreatingBeautifully.com - start and grow an online business you love! 30+ (and growing) places for artists to make passive income online - CreatingBeautifully.com - start and grow an online business you love! No one wants to be a starving artist, and using print-on-demand sites are a way to make extra streams of passive income with your art. 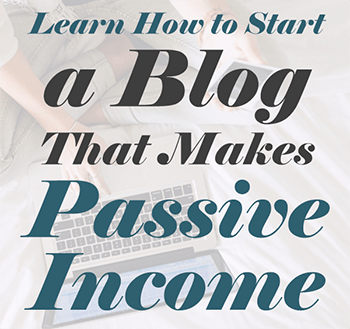 (Not sure what passive income is? Click here.) So I thought I’d put together a big list of places for artists to make passive income online. I know I talk a lot about Society 6 and RedBubble, because those are a couple of the largest print-on-demand websites where artists can sell their work passively. 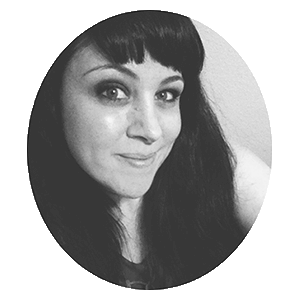 But there are SO many others, and others that are very different (even though they still offer print-on-demand services) so I made this list just for you! The list is long, and so it may feel overwhelming and exciting at the same time. Each link will open in a new tab, so you don’t have to worry about losing your spot on this page. When you look at a site, try to keep in mind your own art style and judge whether or not your work would be a good fit there. Be sure to read the terms and conditions on each site, so you have a good idea of how much you will make, what the company is like, and what, exactly, is being offered. I’ve highlighted the few that have the ability to be the most passive with largest profit margins. There will be, however, more effort up front on your part, setting up a Shopify shop, uploading your artwork and integrating their apps. But it could be very well worth your time! Okay! Let’s get to it, shall we? 30+ Places for Artists to Make Passive Income Online. Artist Rising – (Unfortinately they’ve gone out of business.) From the people behind Art.com. Artfully Walls – A beautiful art marketplace that is curated, so you have to apply and hope to be accepted as one of their artists. ArtistBe – You can sell original artwork and/or be a part of their print-on-demand program and earn 14% on all sales. ArtMuse – ArtMuse is also curated, so you have to apply to join. Art Of Where – Art of Where is a print-on-demand site that prints not only on paper or canvas, but also on a variety of clothes and can be integrated with your Shopify shop. ArtPal – You can sell originals as on ArtPal, and/or use their Print-On-Demand services. ArtSpan – ArtSpan offers a full ecommerce site for contemporary artists so you can have a shop on your own website, and still participate in the print-on-demands services, if you want to. ArtWanted – Another site where you can sell originals and use their print-on-demand services. BeSpo – A U.K. site that prints on products ranging from coasters, mugs, tea towels, temporary tattoos, prints, and much more. CafePress – This can be used much like Society6 or RedBubble – as a simple print-on-demand site with over 450 products for your designs to appear on – or you can create your own shop with them, as well. Curioos – If you don’t want your art on a ton of different products, Curioos is a great alternative. They print strictly high quality wall art. DENYdesigns – A cool and modern, curated print-on-demand site. Displate – This POD site prints your art onto metal posters. FotoMoto – This site offers a cool (and easy!) way for you to sell a variety of different types of prints, as well as calendars, cards, digital downloads, and more, right from your own website. They ship all orders for you. Gooten – They print and deliver over 100 products from your Shopify shop automatically, or Etsy shop manually. GotArtwork – You can sell originals or print-on-demand prints here. ImageKind – Offer print-on-demand museum quality prints and framing. Inkster – If you create comic books art, cartoon art, gaming art, and other fan art, Inkster offers a way to sell your designs on t-shirts. NEW! InPrint – This site is actually curated by other artists: they either send you an invite or you can apply and they vote whether or not to let you sell there. InterestPrint – Offers print-on-demand and drop-shipping of a wide variety of products. Kite.ly – With Kite you can sell directly from your Shopify store and they will print and ship for you. Mobile Prints – Offers a way to sell your Instagram photos. MySoti – Prints on clothes, canvas, home decor and more, and ships items directly to your customers. PrintAura – One of my favorite POD sites that can be linked to Shopify store to automatically print and ship items ordered (posters, apparel, phone cases and more) from your shop. PRINTFUL – You can integrate Printful with your Shopify store, and they print and ship items (prints, clothes, pillows, etc.) for you with your branding. Prints On Wood – Just what it says: print your art on wood! RedBubble – Well, I’ve already had a lot to say about RedBubble (I like them. I really like them!) But I still thought I’d include them in this list! Here is my shop, and the Libby Dash shop. Skreened – Have your art printed on high-quality t-shirts. Society6 – Another print on demand site I’ve talked a lot about, and really like. Here is my S6 shop. Spoonflower – Prints your art and surface designs on fabric, wallpaper and gift wrap. Spreadshirt – Print-on-demand prints on all kinds of shirts, bags, underwear, baby clothes, buttons, pants and much more. StyleArt – A curated print-on-demand site that offers fresh, modern and even quirky art on clothes, phone cases, home decor, and more. TeeSpring – A print-on-demand t-shirt site. ThreadMeUp – A clothing and phone case print-on-demand where you can sell in their marketplace, and/or with your own website and Shopify store or Woocommerce. Vida – Vida creates high-quality women’s fashion with your art. Zazzle – Zazzle is a HUGE print-on-demand website that prints your art on tons of different products. Hey there! If you’ve read this far, you must be really interested in making passive income with your art, and that is awesome! I just wanted to invite you to sign up to get updates from me each week so you can learn even more! It’s easy, just click here to subscribe! Well that’s all, for now! But if you think I missed any places for artists to make passive income online, please let me know in the comments below, and I will add them to the list. Also, if you decide to sell your work on any of these sites, let us know about it (the good, the bad and the ugly!) in the comments below. We’d love to hear about your experiences. Great list! I just opened an online art gallery named Annedal Gallery and we would be honored to be included in your list. We are actively looking for talented artists who want to sell their art on our site, we do the marketing, printing and shipping so the artists can focus on making art. Let me know when you go live and I’ll be happy to add it to the list! We’d love to help anyone that is looking for true gallery quality fine art printing, on demand. Yes, you can connect more than one POD site to your Shopify store (and sell originals there, too, if you choose to!) The shipping charges would be a bit higher if they happened to want two (or more) things from two (or more) POD sites and that may turn some buyers off. Which is why I think it's important to check your abandoned carts and check back with those customers. But the truth is, probably 90% of my customers only buy one thing at a time or just end up ordering more than one thing from the same POD provider, so it's rarely an issue. I certainly wouldn't let it stop me from using more than one POD company with Shopify! I didn’t see Threadless.com on your list….is it terrible? I am just a couple months into posting my art online and have focused on Society6 first. I just beginning to put things up on Redbubble and Threadless. Something about Threadless is off-putting and I’m wondering if it’s even worth it. I don’t really know about threadless, so hopefully someone else with more experience with them will chime in. What I tend to do is be on the bigger sites, but I only focus my own marketing on one or two. I’ve been researching POD companies for at least a week trying to make a decision who to go with. I’ve also been reading through “how to and who to” blogs and have only walked away more confused than when I started. That said, I stumbled upon your blog this morning and it’s been a huge help! Your advice is easy to understand and your style of writing reads like you’re speaking directly to your readers. I still have to make a decision, but I’ve narrowed it down to three or four choices thanks to you. Oh wow Peter! Thank you so much for your kind words! They really mean so much to me! And I totally get it. It can be so hard to choose. I know it had my head spinning around, too. Hi Jules I’m a sculptor could your skills help me with sales ? Nice.. thank you for sharing. gave good tips on making passive income. Kepe going good.